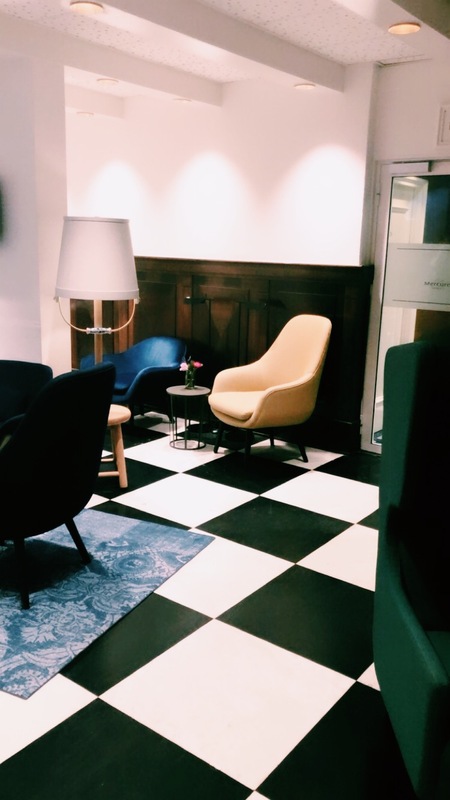 If you are planning on a nice getaway to Amsterdam the Mercure Centre Canal District Hotel is a fantastic place to stay. 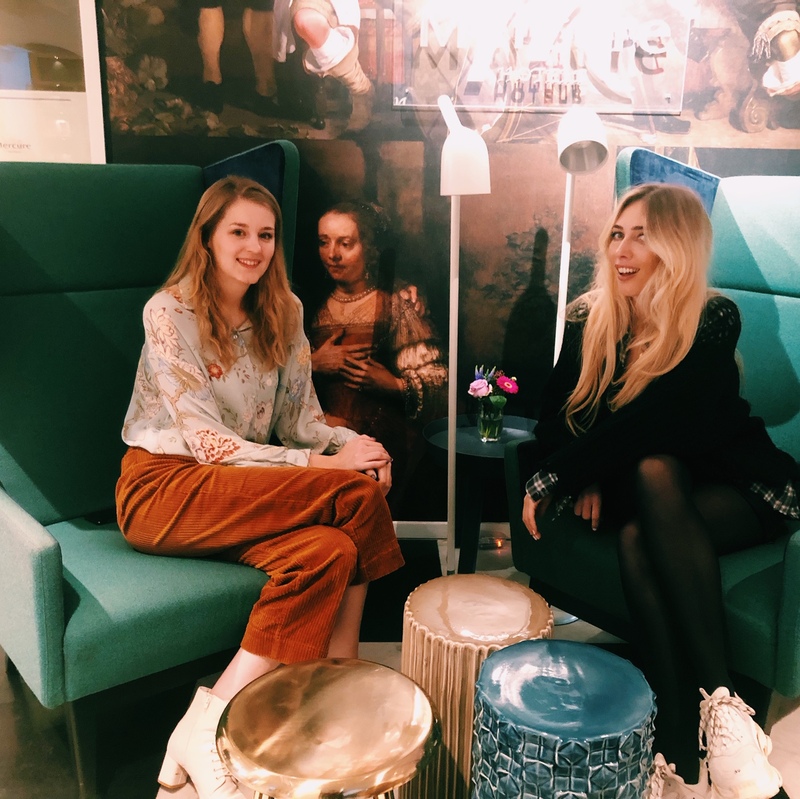 A few weeks ago we organized our yearly charity event in collaboration with Stokke to raise money for the Prinses Maxima Centrum; this center brings together all the strands of highly complex care and research for children with cancer. Part of our team works remotely and Mercure Centre Canal District supported our charity by offering two of our team members a sleep over. The beautiful hotel is tucked away in a small street called Noorderstraat. This little alley is so peaceful and you feel miles away from the hustle and bustle of the city. 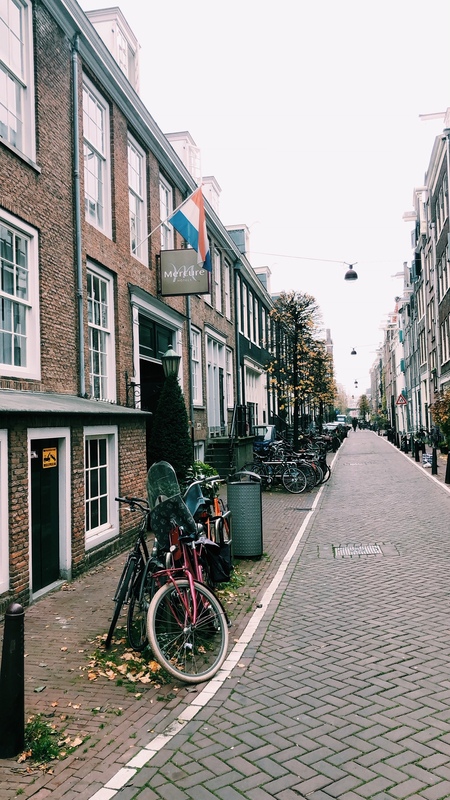 But in fact you are in the middle of the center very close to Vijzelstraat which offers tons of options for restaurants, trendy coffee places and small boutiques. Also the hotel is at walking distance of Amsterdam´s most iconic museums such as the Rijksmuseum, Van Gogh Museum and Anne Frank House. Since you are very close to the canals you can just hop on a boat for a city tour and another great way to explore the city is by bike. The arrival was warm. The check in hall looks fancy with beautiful design chairs. The check in was smoothly and the staff was very helpful. 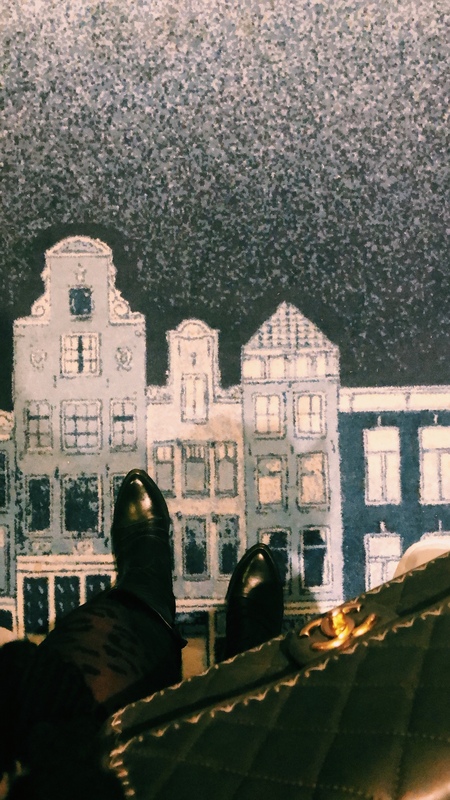 On our way to the hotel room we had to stop to take a picture of the magnificent carpets in Delfts Blue; it´s such an original touch especially if you travel from abroad. The rooms are nicely decorated with a touch of art. What we liked most is the silence in the room. Often hotel rooms can be noisy making it hard to fall asleep but here you can really relax and enjoy a perfect night of sleep in the high quality beds. Next morning it was time for breakfast. The breakfast is not just the ordinary breakfast; it´s a carefully curated selection of sustainable local delicacies. One of our team members lives in Barcelona and she loved the fact that she could finally try some ´ontbijtboek´ (traditional Dutch Gingerbread) and ´vlokken´ (chocolate sprinkles as sandwich topping). If you love honey you will definitely enjoy the homemade honey as the hotel has its own beehive. Another nice thing to mention is that the hotel breeds its own mushrooms which are used for the ´bitterballen´ – another Dutch delicacy that fits perfectly with a glass of wine at the end of the day. We haven´t tried this one but next time we will for sure. While we both often visit Amsterdam we didn´t really know the area of the hotel and it was a true pleasure this special place. 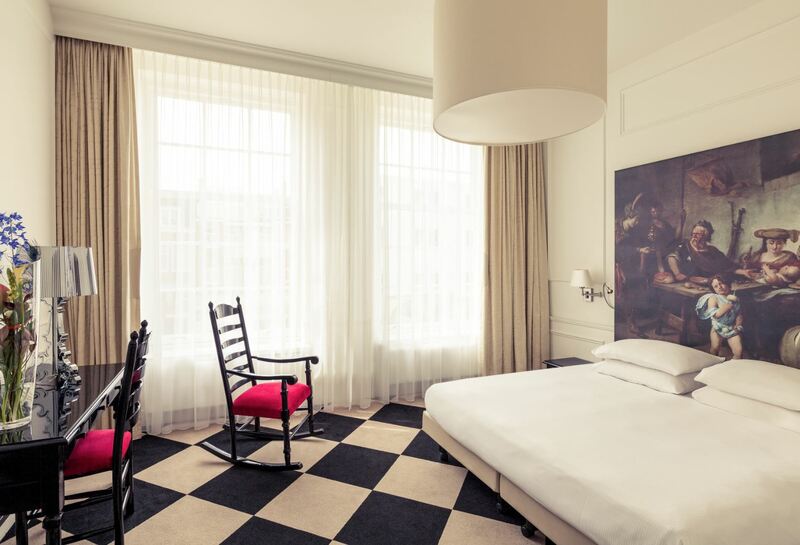 Next time we need to book a hotel we definitely consider Mercure Amsterdam Centre Canal District. A big thank you to the whole team for the warm welcome and a pleasant stay. Thank you for contributing to our charity event. For more info about the hotel click here.